Our spring youth acting workshops have concluded. Please join our youth theater newsletter to receive upcoming youth workshop, program and audition announcements. 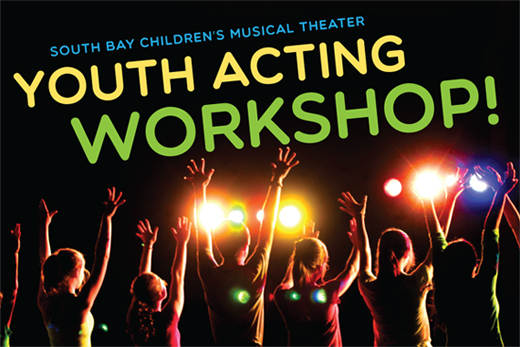 South Bay Children’s Musical Theater Artistic Director John Bisceglie and his team teach the basics of acting and theater in this fun and exciting two day workshop in San Jose! This course covers improvisation, projection, dialects, character creation and audition tips, and is meant to build confidence with public speaking and other performance skills. Through interactive group activities and theater games, students will take a hands on approach by exploring the basic concepts of theater and self expression.